But radio matters, too. As one of music’s steadiest avenues for repeated exposure, it remains a substantial part of the rapper’s lasting dominance over pop culture. Drake has now obliterated enough streaming records to essentially make platforms like Spotify and Apple Music into his playgrounds (e.g. his 2017 album mixtape playlist More Life). But radio? That’s Drake’s old standby. And both radio and streaming factor into chart performance. Case in point: Only 19 days into the year, Drake released “God’s Plan,” which you’ve now heard over 600 times (alongside “Diplomatic Immunity,” which you haven’t). “God’s Plan” predictably blew up, bolstered by $996,631.90 of visual philanthropy and relentless radio play. Both quickly helped Drake achieve his first Hot 100 No. 1 of the year. And somehow, that was just the start. This is a lot of analysis, but it helps elucidate just how influential Drake remains a decade or so into his career. In April, after “God’s Plan” had been No. 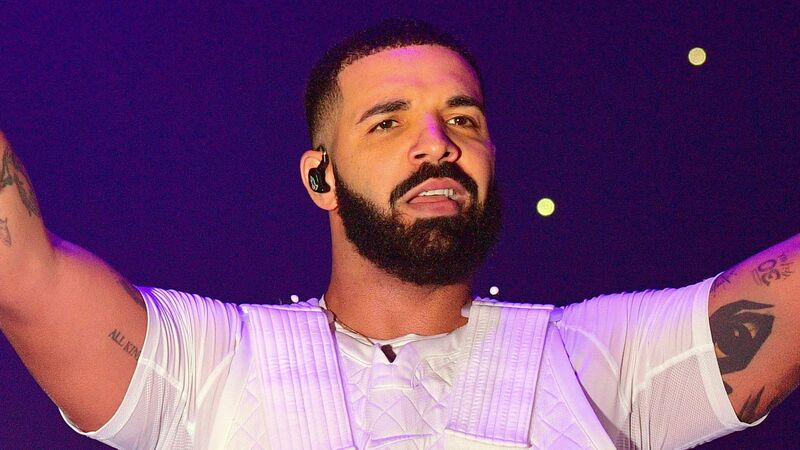 1 for 11 weeks, it finally got bumped out of the top spot, naturally by Drake himself and “Nice for What.” The dude’s hits are so big that he can replace himself at the top of the charts, becoming part of an elite class of just 12 other recording acts to have achieved the feat, including Taylor Swift, Justin Bieber, and The Beatles. A big part of how this happens, as Trust said, is what those songs actually sound like. While the airy “God’s Plan” kept a fundamentally trap skeleton (in line with much contemporary rap), “Nice for What” and “In My Feelings” delved into New Orleans bounce; the latter video even acted as a love letter to the city itself. Drake paired each new song with a dynamic visual, the kind that makes a hell of a case for the continued existence of music videos in general. A major part of his visual identity in 2018 was Evans, the 22-year-old director whose clips with Drake vibrate with life and portraiture. After giving away a million dollars in Miami as part of “God’s Plan,” Drake retreated out of frame so that Evans’s “Nice for What” could come alive as an ode to strong women. By the time “In My Feelings” dropped in August, the song had already blown up thanks to Shiggy’s challenge. All Drake had to do was show up wearing gold grills and charm his way out of a contentious encounter with Phylicia Rashad. Of course, the dude did. And his canny strategizing essentially guaranteed each song’s coronation as an Event instead of just another single. As if right on cue, Drake’s achievements kept rolling in even as 2018 winded to a close. Tuesday (December 4) brought the news that he was both Spotify’s most-streamed artist of the year — and with 8.2 billion new listens in 2018 alone, also the platform’s most-streamed artist ever — as well as Billboard‘s artist of the year. He also claimed that same title from Apple Music. But there’s something just as potent in “Sicko Mode,” whether it’s Scott’s oblique mention of his maybe-wife Kylie Jenner or, who knows, maybe even Drake’s “I did half a Xan, 13 hours ’til I land.” He’s long been a meme, after all. That’s just what you have to do. Drake’s known it for years. In 2018, it paid off with three mammoth No. 1s. Next year, however, nothing will be guaranteed. Drake’s reign, Trust stressed, may be short-lived given how cyclical the trends represented on the chart tend to be.